Alcohol’s per se law requires one event to prove a violation of the law: proof of a blood alcohol content at least 0.08 gm/dl. 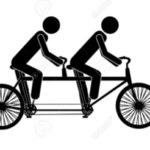 Tandem DUI per se requires two sequential events to prove a violation of the law: evidence based on the driver’s behavior that the driver was impaired, and proof of any level of a drug other than alcohol in the driver’s blood or oral fluid. Although Colorado has an alcohol per se limit, it currently has no per se limit for impairing drugs drivers. In 2013 the legislator passed a permissible inference level for marijuana’s THC of 5 ng/ml in whole blood. The permissible inference level has been criticized because it is scientifically invalid, limited to only a portion of the DUID problem, is prosecutorially ineffective and judicially unsound. Tandem per se press package provides greater detail for those who seek further information. UPDATE: After testimony before the House Judiciary Committee, the bill was postponed indefinitely at the request of the sponsors. Representative Roberts announced that further language changes would be needed for the bill to pass, and those language changes may not fit within the confines of the current bill title.